All kids are invited to wear their Halloween costume on Sunday, October 28! 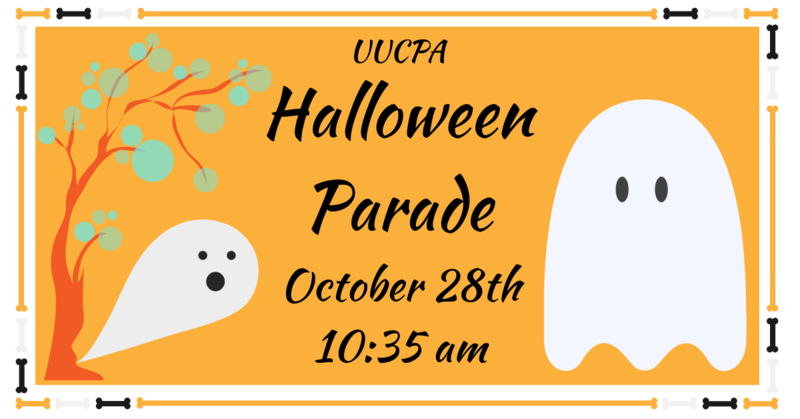 At around 10:35, after Sunday school is over, we’ll have our annual Halloween parade. Please gather on the patio. The middle school teens will serve as judges and give out an award to every costume; in the past, these somewhat silly awards have been for “Most Robotic,” “Greenest” (as in the color green), etc. Each award certificate comes with a small amount of candy to choose from.